The previous Hyper Universe beta ended with quite some impressive stats and your relentless love for Ignitia. Obviously, quite a few of you are counting the days for the start of the next beta, which hopefully won't be closed. Well, we have good news… we think. Nexon has just teased something that is about to happen in seven days. 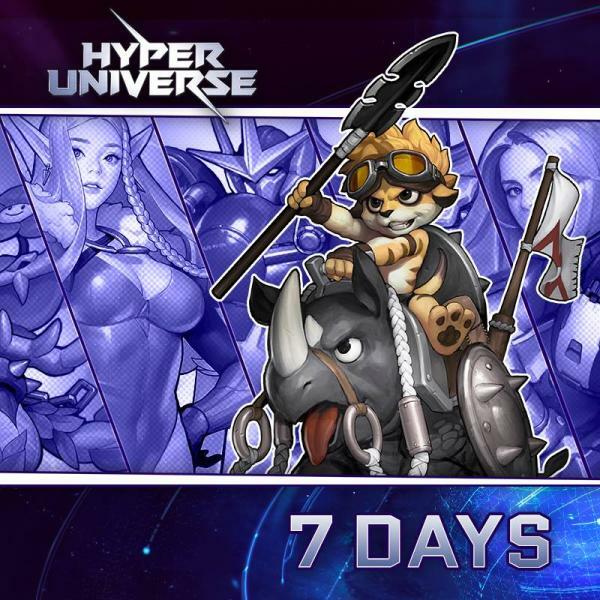 It would be somewhat odd if they're teasing a closed beta, as that would leave a sour taste in many months, so we're betting that Hyper Universe is just a few days away from open beta / early access. The Hyper Universe Steam page is already set up, so this is very likely. Hyper Universe is a side-scrolling MOBA that includes a hefty dose of platforming. There are seven levels for you to explore and some characters are inspired by pop culture icons. Others are just fan service, which is also a good thing.